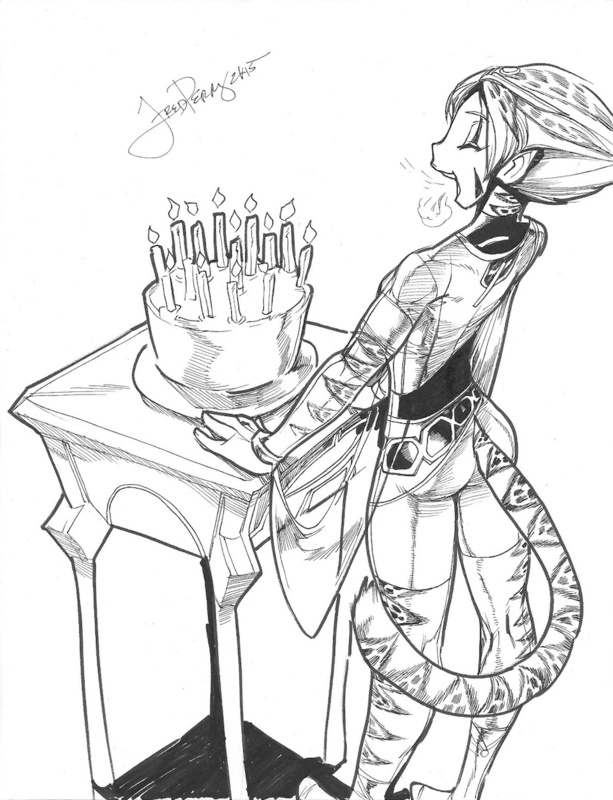 Tiffany's having a special birthday, heading home to her father's home planet of Aebra. Here we see her about to blow out the candles, dressed in the traditional Kryn Princess outfit. Here's hoping the lil' princess has a great birthday!